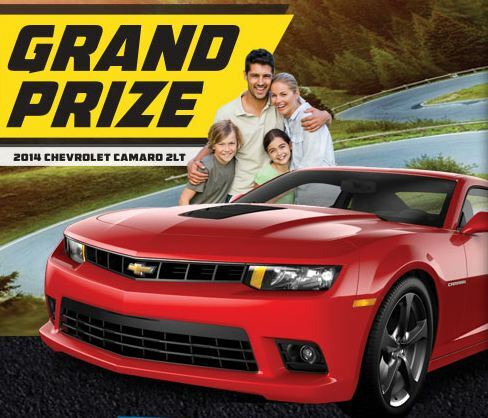 A 2014 Camaro 2LT is up for grabs in the Land O’Frost 2014 Drive It Home Sweepstakes. Family not included. Ten first prize winners will get a Hot Wheels Ultimate Track Room, valued at $140. An additional 990 second place winners will receive a Hot Wheels Track Builder 5 Lane Tower Starter Set. You can enter the Land O’Frost 2014 Drive It Home Sweepstakes here. The contest opened on February 24, 2014, and will end on May 23, 2014 at 11:59pm. Only citizens of the contiguous United States who are 18 or older are eligible to enter. To enter the contest, you’ll need to get a hold of a game code, either by purchasing specially-marked packages of Land O’Frost premium and Sausage products (because of course there is a catch!) or, without purchase, by mail.